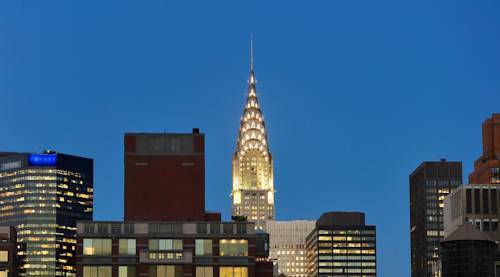 Situated on 28th Street between Park Avenue and Lexington/ the Park South is conveniently located in close proximity to many of the citys Corporate headquarters and leisure activities. Excellent restaurants/exciting nightlife and shopping are all within easy walking distance. Public transportation is nearby including a subway station one-half block away. Contemporary Japanese restaurant. Offerings are designed to encourage exploring a variety of flavors throughout the meal experience. The overall menu includes creative nigiri-style sushi and sashimi as well as a variety of cooked dishes like Wagyu Beef. Covina houses a separate take away section on 27th Street aptly named Covina Cafe which is open daily. In addition to a selection of inventive pastries and sandwiches the Cafe also serves Counter Culture Coffee and teas from Rare Tea Company. Seasonal American cuisine with inspirations from the coastal regions of the Mediterranean is offered at the restaurant. The industrial-style room features 600 sq. ft. of meeting space which can fit up to 50 people for cocktails and up to 23 people for seated conference meetings.